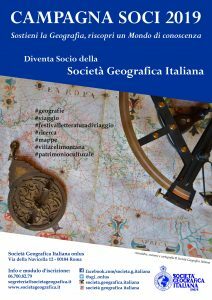 The Italian Geographical Society was established in Florence in year 1867. It moved to Rome in 1872, as the city had become the new Capital of the Regno d’Italia. 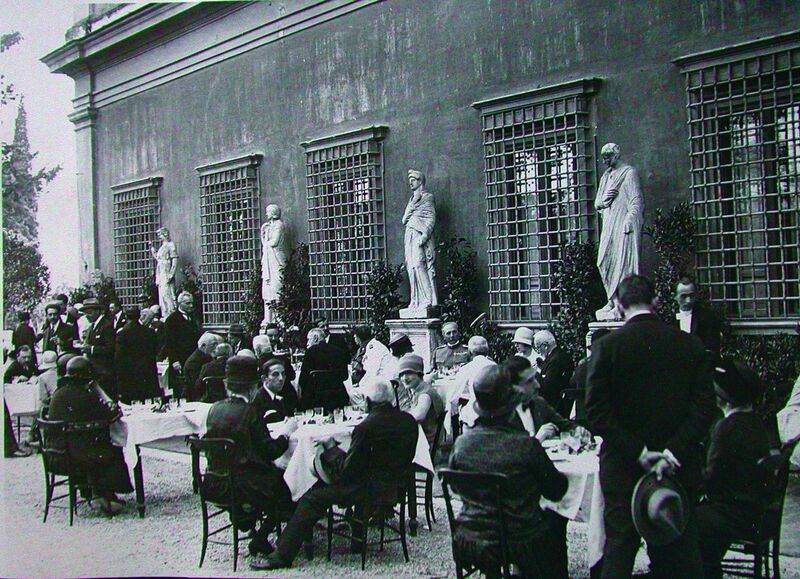 Since 1924 it was assigned a new location in the 16th century Palazzetto Mattei, at the centre of Villa Celimontana. The Villa lays the top of the Celio hill, facing the Semenzaio di S. Sisto and bordering the San Gregorio al Celio park. From Antiquity, the Celio was an object of particular interest due to its rich vegetation, which earned it the name of mons querquetulanus (oakes hill), and due to abundant springs of water. Duke Ciriaco Mattei, in the 16th century, turned what was then a vineyeard into a real park. Works begun by Ciriaco Mattei were completed in 1597 by the addition of buildings, fountains and sculptures by Giovanni and Domenico Fontana. Since 1600, Villa Celimontana became a site of refection during the so called “Sette Chiese” jubilee pilgrimage. In the 1800s the park evolved towards an English garden configuration. In the Villa there were also three secret gardens with ancient sculptures, fountains and orange trees; an underground nymphaeum, so called “dell’Uccelliera”. An Egyptian obelisk dating back to the age of Pharaoh Ramses II was donated to Ciriaco Mattei by the Capitoline Magistrates in 1582, as an award for his merits. 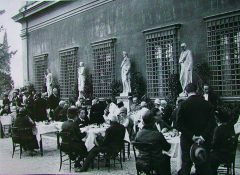 When Ciriaco died the property was inherited by his son Gian Battista who turned the Palazzetto, at the centre of the Villa, from a repository of private collections into his residency. He also expanded the garden area by purchasing adjacent fields. The work was assigned to architect Francesco Peparelli and were completed in 1623. The frescoes painted in the library rooms date to this year. » In the Sala del Mosaico (“Mosaic Room”) the paintings are by Andrea Lilli (1621). The fresco in the ceiling shows a personification of Spring in the centre, receiving a vase by Apollo-Sun in the presence of Juno. On the two opposite walls there are two figures representing the Autumn and the Spring respectively. The floor includes a Roman mosaic dating back to the 3rd century C.E. It was discovered in the area in front of the Palazzetto and it was added during restoration works in the 1800s. 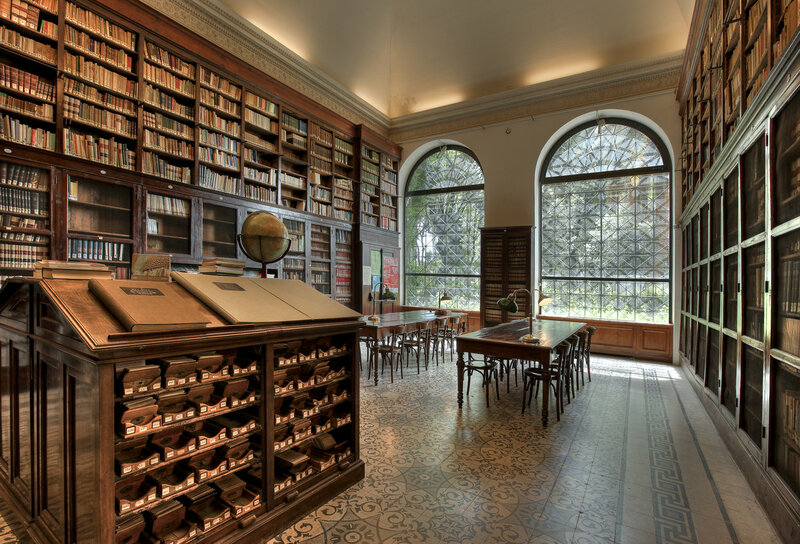 » The Sala del Consiglio (“Council Room”), entitled to Cristofoto Negri, first President of the Italian Geographical Society, there is a fresco presumably by Pietro Sigismondi. It shows Abigail accompanied by five young women and by messengers from David, going to become his wife. 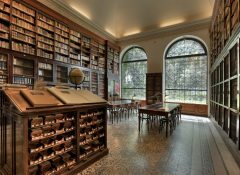 » The Sala di Lettura (Reading Room) “Elio Migliorini” features a painting attributed to Andrea Sacchi (1621). It shows Dalilah as it was about to cut Sanson’s hair. » In the so called “C-Room” a fresco is attributed to Orazio Monaldi (1621). It shows Apollo and Marsia debating; it was also interpreted as an academic disputation between God and man. » In the so called “L-Room” a fresco presumably by Orazio Zecca (1621) shows Proserpina being kidnapped by Pluto. The God appears to have just left his chariot and he is about to capture Proserpina while she is collecting flowers. Diana, with her arc and Menerva holding a spear are scrambling towards the group. On the right, a lightning can be seen from the sky, as Juppiter is in favor of Proserpina’s capture; Venus, meanwhile, observes the scene. This work of art shows some influence by the Cavalier d’Arpino’s school. Sacred, profane, nature and mythology. There elements can be found in the paintings of the Palazzetto. Main characters in those images are women, exhalted for both their virtues and for their beauty and skills. Elements from Roman classicity (such is in the celebration of Ciraco as Hercules and Caesar in the 16th century re-organization of the Villa) and the moral themes drawn from the Catholic Reform in the 17th century. The painters who worked at the Palazzetto were from the Accademia di San Luca, a most classicist artistic environment in Rome during the 17th-century. After the Mattei family, the Villa was handed over several proprietors. 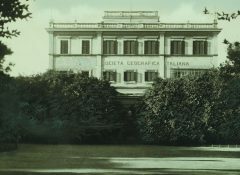 After World War I, since the owners of the Villa were the Hoffmans, a family of German extraction, the Italian State seized the property. 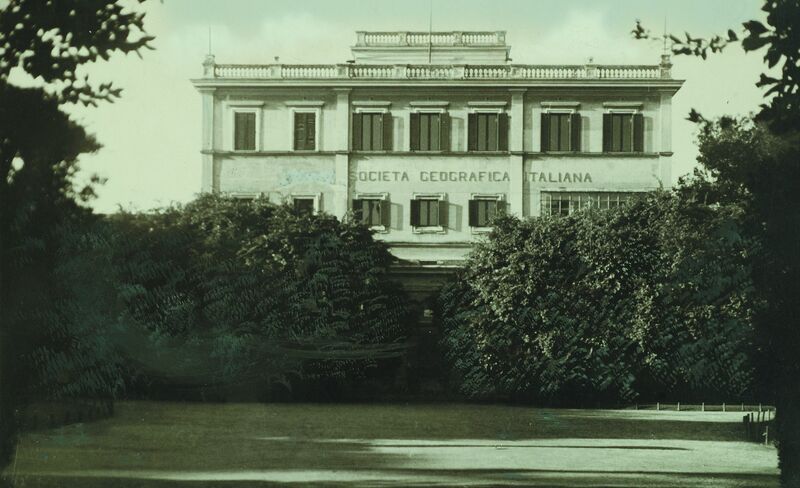 In 1925 the Villa (with its garden and park) was given to the city of Rome, while since 1924 the Palazzetto became the house of the Italian Geographical Society. The Society, in turn, took over the responsibility of restoring the building and to adapting it for its new purposes.